Lawrence E. Susskind is Director of the MIT Science Impact Collaborative and Ford Professor of Urban and Environmental Planning at MIT where he has been a member of the faculty for more than 40 years. He is one of the founders and directors of the Program on Negotiation (PON) at Harvard Law School where he is Vice-Chair for Instruction and Director of the Teaching Negotiation Resource Center (TNRC). 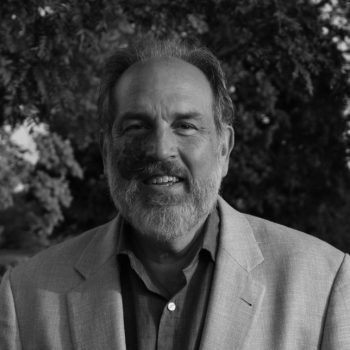 Professor Susskind created the Consensus Building Institute in 1993 and has been delivering mediation and consensus building services on a worldwide basis ever since. Through the executive training programs at PON he has offered specialized negotiation training (e.g., Technology Negotiation, Dealing with an Angry Public, Teaching Negotiation in the Corporation), PON’s Advanced Negotiation Master Class, and PON’s Advanced Mediation Course to more than 40,000 people. He has published more than 70 teaching simulations and dozens of teaching videos. He has been a visiting lecturer at more than 50 universities in 20 countries. He is the author or co-author of 18 books including Good for You, Great for Me: Finding the Trading Zone and Winning at Win-Win Negotiation (Public Affairs), Breaking Robert’s Rules: The New Way to Run Your Meeting, Build Consensus and Get Results (Oxford University Press), Built to Win: Creating a World-Class Negotiating Organization (Harvard Business School Press) and Multiparty Negotiation (Sage). Two of his books, The Consensus Building Handbook (Sage) and Dealing with An Angry Public (Free Press), won best dispute resolution book of the year awards. He received a BA from Columbia University in 1968, a Master of City Planning from MIT in 1970 and a Ph.D in Urban and Regional Planning from MIT in 1973.